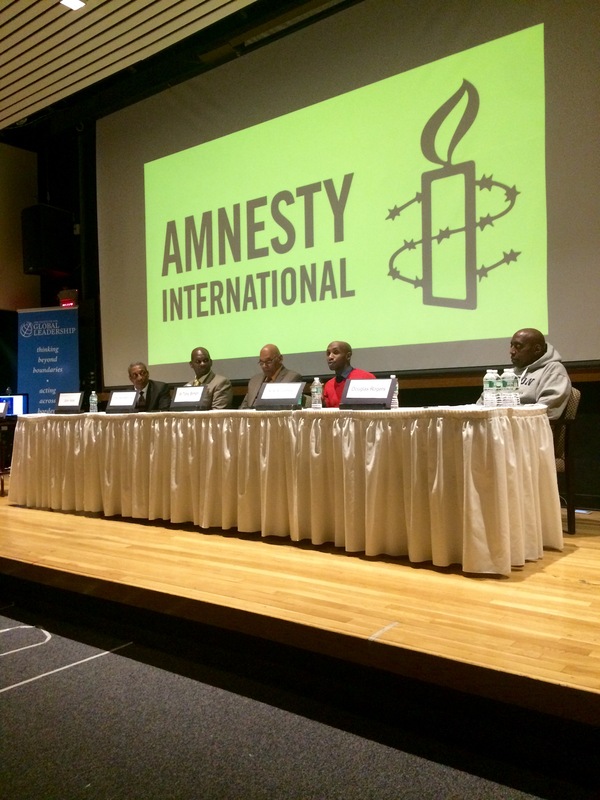 Monday night, Tufts Amnesty International hosted a panel on solitary confinement, featuring 5 speakers who not only had served time in prison, but also are involved in activist organizations seeking to reform the criminal justice system. The keynote speaker was John Artis, who was arrested and tried in 1966 at the age of 19 as the codefendant in the infamous Rubin "Hurricane" Carter murder trial. Both Artis and Carter were sentenced to three life sentences. The convictions -- based on hearsay and no physical evidence -- were overturned in 1985. Artis continues to work with Carter's organization Innocence International. Other speakers included Five Mualimm-ak, whose organization Incarcerated Nation Corporation works to author comprehensive prison reform legislation; Dr. Kirk A. James, a well-respected writer, educator, clinician, and speaker on issues pertaining to social justice, as well as founder of EVOLVE, an organization dedicated to ending mass incarceration through the utilization of transformative education; Al Tony Simon, who works with Release Aging People in Prison (RAPP) as the leading coordinator assisting those returning to society today to create viable community-based solutions for aging people in prison; Douglas Rogers, a formerly incarcerated gay man and leadership member of the organization Black and Pink; and Ashley Diamond, also a member of Black and Pink and a leading voice for transgender women and the larger LGBTQ community in prison. Following Artis's keynote speech, panelists were asked to introduce themselves, to speak about their experiences in prison, and to explain the goal of their organizations and their activist work. Artis then served as the moderator for several pre-prepared questions before the floor was opened to audience questions. The speakers emphasized that solitary confinement as a punitive measure does not work, and that there is no empirical evidence to support it. For a more in-depth look at the panel, see the Tufts Daily article published 18 Nov. 2015.